Buon giorno. Generally speaking, in my experience, readings and so forth... Whenever I hear about atheists in the news, they're up to mischief. Fighting the "National Day of Prayer"
And they wonder why they're the least trusted group? Most of these things have a flimsy excuse, a misinterpretation of the spurious Constitutional "wall of separation of church and state". Oh, sure. It's in the Constitution, all right. Article 124 of the Soviet Union. However, there are a few things that they can cry and fuss all they want, they cannot be changed. There's more that they can't touch — literally. There are followers of Jesus who have been on space missions. What I think will be the biggest irritant of all is the fact that Bibles were taken on NASA missions to the moon. 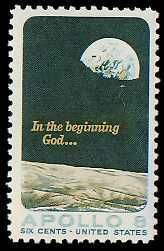 Although they were on microfilm, Edgar Mitchell had the written Word of God with him on the moon. Also, the Lord's Supper was observed on the lunar surface. 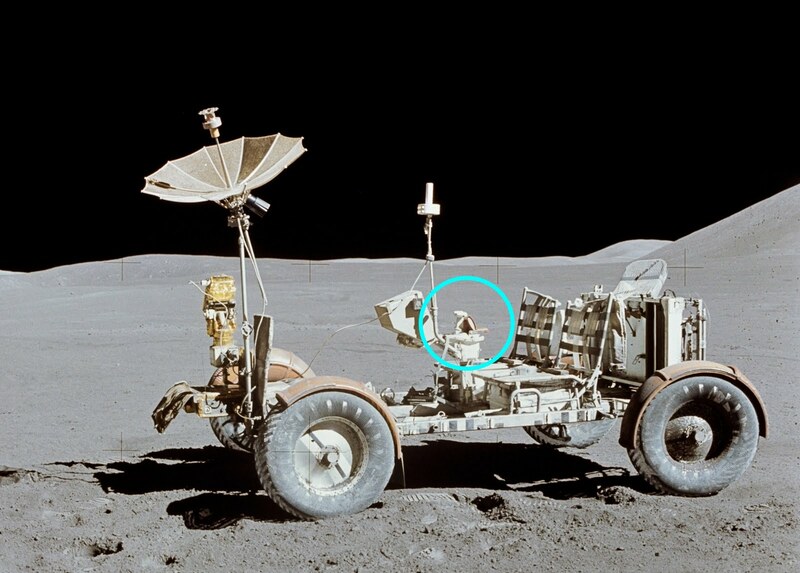 Dave Scott left a Bible on the Rover on the Apollo 15 mission, and the astronauts did a brief but touching ceremony for astronauts and cosmonauts who had died . Guess if atheists want to protest, they can do it all they want. But if they want that Bible removed, they'll have to go and get it. Not that they'll get popular support, capice? How long, O simple ones, will you love being simple? How long will scoffers delight in their scoffing and fools hate knowledge? "Fundamentalist Christian", indeed. Caught you liars again. The guy was a Darwinist! It's almost morning. Lingering dream fragments are in my mind, some song is "playing" in my head, blending with my less-than-asleep state. Did I open my eyes? Dunno, maybe my closed eyelids are picking up the light of the rising sun through the blinds. I take a deep breath through my nose and roll onto my other side. Must have dozed again, I didn't want to get up early for work and face The Tyrant and The Company. My pulse picks up a bit. Ernie the Gambler owes me money, but I'll have to wait because he'll have to pay Lela first. Get along fine with my own crew, but going up the food chain, watch out. Got an idea for an article. Might skip checking e-mail today. Shall I turn off comments on everything, forever? Maybe. Forgot to set out today's clothes last night. Did I take my meds before bed? Yes. I take another deep breath through my nose. Coffee! Even mostly asleep, I finally realize what I'm doing: Sniffing for that "other" alarm clock, the coffee smell. The timer is set to get that stuff going before the actual alarm clock goes off, less waiting time after the beeps. Finally opening my eyes, I shut off the alarm and stagger to the shower. Once I get going, I start waking up better. Crank the hot water all the way up because the clowns that put in the water heater were not licensed plumbers, just the apartment complex's handymen. So the water has to run a lot before it heats up. Turning on the hot water in the sink to help things along. It's slight, but I hear the change in the pitch of the water in the pipes. Good, it's heating up now. All of this stuff, I'm barely aware of. Change in water sound, sniffing for coffee while still partially dreaming, thinking about the upcoming work day. The mind is an amazing thing. Not only is it out of the question for me to believe that life itself evolved, but even more far-fetched is the concept of consciousness evolving. Beyond that, the idea that deeper layers or levels, the subconscious as some call it, also evolved is even more absurd. I will give thanks to you, for I am fearfully and wonderfully made. Your works are wonderful. My soul knows that very well. "If you keep my commandments, you will abide in my love, just as I have kept my Father’s commandments and abide in his love. I have told you this so that my joy may be in you, and that your joy may be complete. This is my commandment: that you love one another as I have loved you. No one shows greater love than when he lays down his life for his friends. You are my friends if you do what I command you." You are probably saturated with news reports about Anders Behring Brevik. Brace yourselves, I think this is going to be a long ride. The road is already full of turns and double bends. I am not going to spend much time on the details of this loser's murderous rampage, you can get plenty of that material elsewhere. After holding off for a while so I could attempt to be less guilty about rushing to judgment than other people, I believe there is enough information to say this: There is not enough information. Some atheists were gleefully joining the chorus of the news media that this guy is a "right-wing Christian Fundamentalist". He allegedly referred to himself as a Conservative and a Christian on Facebook, but the Facebook material is highly suspect, especially since the version in Norwegian was removed and a fake-looking version was put up that included the terms in question. Edit: Chris Plante of WMAL asked some very pertinent questions, including: Which Christian "Fundamentalist" organization was he affiliated with? Were they applauding him? This guy assumed I was writing about the killings in Norway, and didn't even read the linked article! People on the left just love to throw around pejorative terms to intimidate and hurt others. Yet, I seriously doubt if they know what "Fundamentalist" means. (I gave a definition and some thoughts on that here.) And what does the word mean in Europe and other parts of the world? Let's get something straight right now. Someone who believes in the fundamentals of the Christian faith and adheres to the teachings of the Bible does not go out killing people. Let's get something else straight right now. He made some remarks identifying himself as a Christian, but only in the loosest possible sense. People call themselves "Christian" because of culture (that is, not Muslim or Buddhist, for example). Norway is not a "Christian nation", it is very secular (but maybe it will become a Christian nation.) 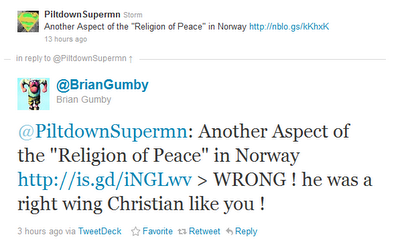 Brevik denied faith in Christ. Nor did he say that he was acting on behalf of any religious organization or in the name of Jesus. (Sam "Ben Stiller" Harris is not impressed with his alleged Christianity, either.) Leftists are having a wonderful time trying to use this genetic fallacy to make Bible-believing Christians look dangerous. The leftist media are also attempting to taint Conservatives by unjustly naming Pamela Gellar as one of his influences. So? He had many. He was also supposedly in the Knights Templar. Shall we blame them, too? Hey, how about his Darwinist beliefs? Well, Darwinism, when taken to its logical conclusion, leads to eugenics and other nasty philosophies (I touched on that concept here). So, do we round up atheists and other Darwinists? Edit: He is also a global warming skeptic (like sensible people) and also a reader of the New York Times. Do we logically conclude that Times readers are potential terrorists? See, the blaming philosophies can work against leftists, too! At any rate, people should stop and think instead of reacting, being in a hurry to point fingers and say, "Aha! Let's blame Christians!" 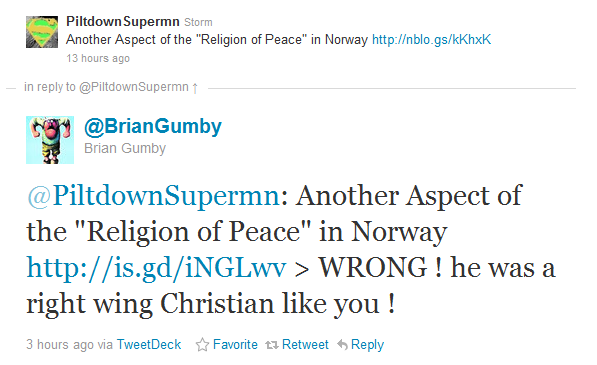 Addendum 2, 4-27-2012: Brevik was a Darwinist, and this is a natural result of social Darwinism. This lesson will be a mess. Some of the logical fallacies are blurred, and they overlap. The good news is that the basic False Dilemma fallacy itself is relatively simple. Be very watchful, because this is common in political debates and propaganda. Also, it is a favorite tool of of atheists and evolutionists in attempting to malign Christians. I want to remind you from the outset that I have two purposes for these lessons. First, that you can spot them when someone is using them to manipulate you, whether intentionally or unintentionally. (Yes, sometimes it happens unintentionally. People get careless, or they simply are not skilled in such critical thinking.) Second, you do not want your discussion to lose credibility because you are making too many (or too important) mistakes. False Dilemma goes under several names, including Either-Or, False Choice, False Alternatives and similar. Essentially, there are only two possibilities. The bully says, "Meet me on the playground after school. If you're not there, I'll know you're scared! If you do show up, I'll know you want a pounding!" This leaves out the possibilities that the one being challenged has to be elsewhere after school, is not interested in gratifying the bully, or is a karate expert and can put the bully in the hospital in three seconds. This one is a real gem! He says I block people that I "can't answer", then furnishes his False Dilemma (either I'm too stupid, or a coward) mixed with an ad hominem attack and argument from silence. I do tend to block obstreperous trolls and annoying people so I do not have to wade through their nonsense and//or abuse. Ever think of that? I wanted to include Argument from Silence (argumentum ex silentio) in this lesson because I believe it is so doggone close to False Dilemma that the two are easily confused. Well, I had some difficulty. As with other fallacies, the basics of the Argument from Silence are simple. If there is no evidence that is contrary to a claim, the claim must be right. Remember that playground bully? We can use just the first part of his taunt: "Meet me on the playground after school. If you're not there, I'll know you're scared!" This is extremely similar to childish taunts that I have received from evolutionist atheists. I cannot count the number of times that I have been hit with something resembling, "Your silence (or refusal to answer) means that you know I am right and you are wrong". It does not take into account that I was busy elsewhere, thought the question was to absurd to warrant a reply, the computer was down or other possibilities. I engaged in the Argument from Silence many years ago as a teenager. Someone was saying that there is no life on other planets because the Bible does not tell us about it. (Although this was his own Argument from Silence, there are verses in the Bible that can make a case against extraterrestrial life, so it is not entirely a fallacy.) 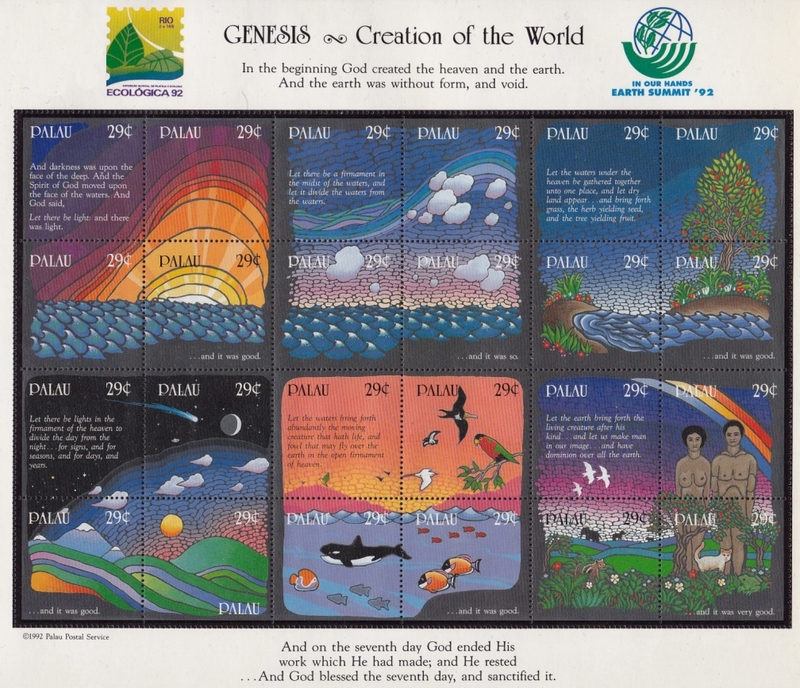 My erroneous response: "But the Bible doesn't say there is not life on other planets!" My response did not prove anything. Another bit of cuteness that I have endured is, "He wrote/changed his article because he saw what I wrote in mine!" Sorry, Selma, but I saw your bit after you made the accusation. This is a screen shot of a screen shot. This character (that I named "Norman" some time back because he makes me think of android on a classic "Star Trek" episode) is both entertaining and dangerous. He pulls all sorts of tricks to manipulate emotion, twist logic and blend logic fallacies. In this instance, he is using an Argument from Silence to say, "If you delete my post, then you agree that followers of Jesus lie and kill". Be extremely careful when dealing with types like this. Edit: His reaction to this article helps prove my point. Like I said, this is a mess. The lines blur and blend with various attacks and logical fallacies. Even so, the basic elements of False Dilemma and Argument from Silence are relatively simple. The thing that I had to learn is that the False Dilemma has two distinct choices, Argument from Silence infers a specific response from no response at all.